In a move many probably saw coming, Instacart will be winding down its relationship with Whole Foods. Where there’s a beverage trend, Starbucks usually isn’t far behind. Next up in its sights? Kombucha. 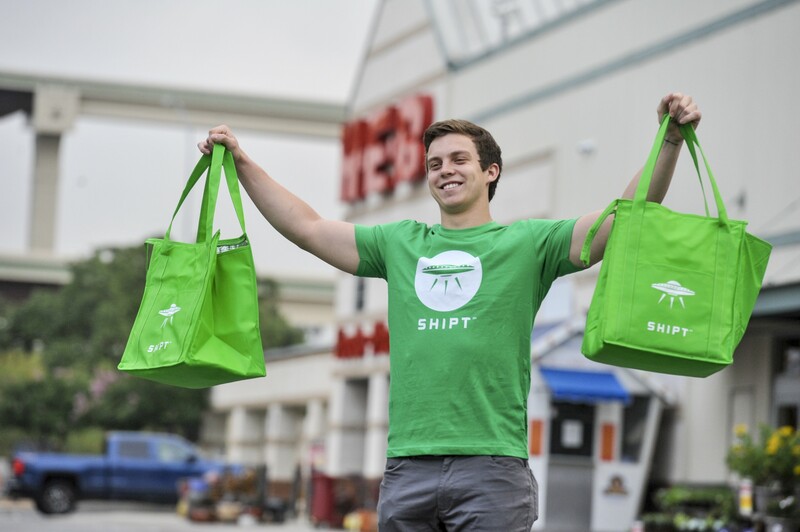 For awhile in West Michigan, grocery delivery service, Shipt, has reigned supreme, with others offering pick up directly at the store. Another competitor has entered the fray, Instacart, who finally decided that it was time to meet demand in the area. Do you ever find yourself having spent too much time at the grocery store? Bobbing and weaving among the other customers, wondering if you really should have gotten that impulse buy, and then realizing you forgot about five things on your list? 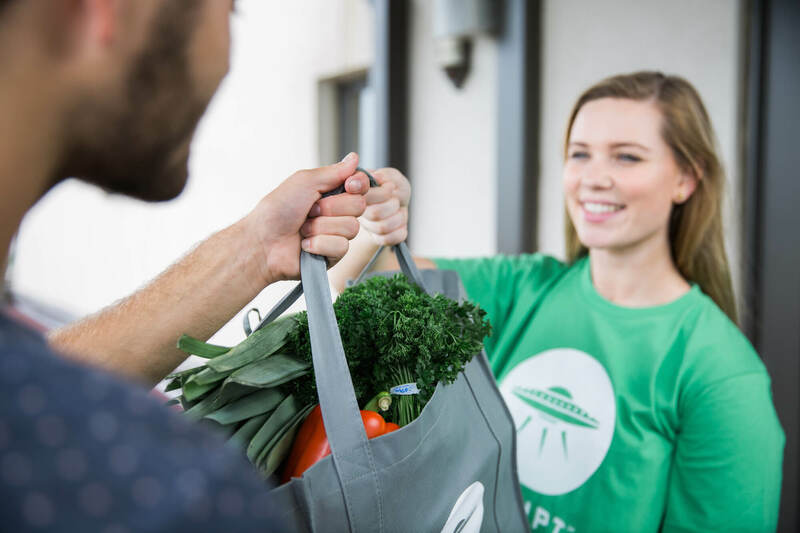 The grocery delivery service Shipt has been helping to ease some grocery shopper angst, by having others do the shopping for them. If you’ve been on the side lines waiting to try it out, Shipt has a great offer going on right now, where you can get your first two weeks free, and $15 off your first order. If you’re a Bank of America customer, you might be in for even more savings! The Best Skyr Yogurts With More Protein Than Greek | Eat This, Not That! While we’ve written before about saving time, money and patience at the grocery store as well as more ways to save on food – sometimes it can help hearing from fellow consumers on how they save money when going grocery shopping as well. Recently Dave Ramsey’s team collected responses from their Facebook page on how to save money at the store, so we wanted to share these with the hopes that they could help you too! 1. Crunch some numbers while you shop. “Stick to your list and use a calculator as you shop to stay under budget. We’re under $50 a week for our family (two adults and a toddler). No junk food either. It’s doable!” — Amanda N.
2. Get creative with the food you have on hand. “Don’t feel like you need to buy something just because you’re out of it. Raid your pantry and fridge for substitutes first. Make your meal plans around what you already have.” — Carla A. 3. Start freezing and storing meals now. “Cook big meals and divide leftovers into portions and freeze them. Freeze as much as you can from your shopping. Nothing beats already having it.” — Anthony R.
4. 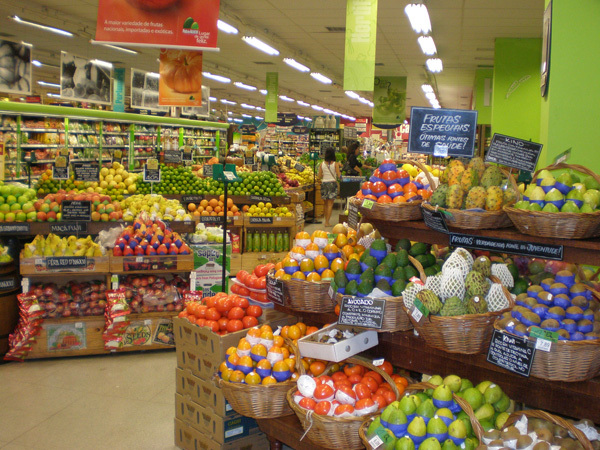 Round up your grocery store cost estimates. “I use tally marks to keep track of what I’m spending, and I always round up every item. Even if the item is $1.29, it gets two tally marks. That way, by the time I check out, I’m both aware of approximately what to expect and surprised to still be under what I wanted to spend.” — Jilian H.
5. Use the envelope system. “Use the envelope system and put unnecessary items at the end of the counter. I would tell the cashier I only had a certain amount of money to spend and to stop when I got to that point. Instead of it being an embarrassment, it was a bonding moment for me and the cashier when I made my goal, or even if it didn’t work out.” — Jan B. 6. Don’t allow for budget-breaking surprises. “Our grocery store offers ‘scan it.’ You can walk around with a scanner and scan your items as you shop. It keeps a total for you so you’re never surprised at the register—and you can decide if you really need certain things.” — Jamie M.
7. Stick to a meal plan. “Meal plan ahead of time with your favorite store’s ad in hand. Buy larger quantities of what’s on sale and freeze it. Stick to your list. And never grocery shop hungry!” — Nikki G.
8. Don’t buy more than you need. “Just because something is marked two for $5, four for $10, etc., doesn’t mean you have to buy that many items. You get the same discounted price if you buy just one.” — Stacy H.
9. Test out your green thumb. “Try growing a garden. There’s an initial investment, but it pays off in terms of produce for the year.” — Ash B. 10. Shop online and pick up at the store. “My wife makes a list and then orders all the groceries online. We pull up at the store and they bring them out to the car and help load them in. It is convenient, saves time, and there is no impulse buying inside the store while walking around with the kids.” — Matthew G.
11. Try going meatless for a meal. “We do a meatless meal one to two times a week. We budget $500 for a family of five. Sometimes it’s too much, sometimes it’s the perfect amount. 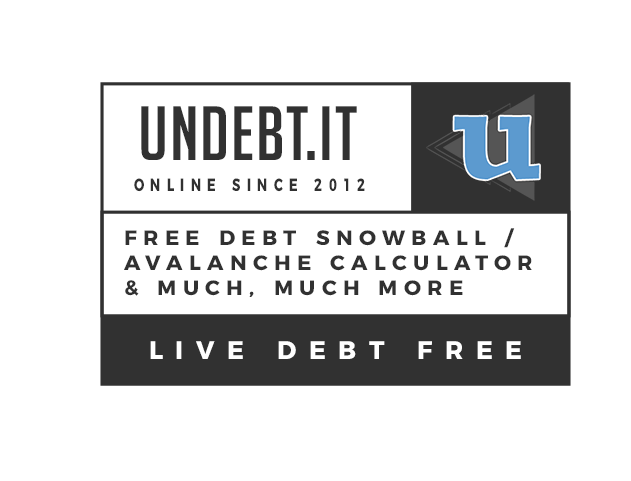 If we don’t spend it, we put it toward our debt snowball.” — Holly M.
12. Eat leftovers for lunch. “We almost always have a nice dinner every night and are really good about taking the leftovers for lunch. I think it’s important to have a family dinner every night. Yes, sometimes we go cheap. But no matter what you cook, if you consistently eat at home, it’s way cheaper than going out all the time.” — Cindy N.
“We shop at a great grocery store known for their low prices, and most stuff we buy is generic. We no longer buy desserts or junk food, which cut probably $200 from our budget.” — Erin A. 14. Only buy meat when it’s on sale. “Choose different cuts of meat. For example, we love boneless skinless chicken thighs, and they are so much cheaper than chicken breasts. They taste better too.” — Colleen M.
15. Leave the over-spenders at home. “My #1 [grocery store hack] is banning my husband from going to the grocery store! We saved at least $300 a month by him not going.” — Melissa W.
Granted a lot of the above tips may SEEM like common sense. However, sometimes those can be the best advice as well! There is no doubt that one of the biggest impacts on a family's budget is that of the grocery store. Depending on what time of day you go, and your patience level, it could also impact your "mental" budget as it were. We first wrote about the home grocery delivery service, Shipt, back in March, and their partnership with Meijer. While Shipt originally got its start in 2014, launching in Birmingham, AL, the company has continued to grow and expand partnerships, such as that with Meijer. Growing up in the Midwest, Meijer was, and has been a pretty household name when it comes to picking up your daily household necessities. Over time though, customers increasingly busy lives have led to companies like HelloFresh, Blue Apron, and now Shipt realizing that they could provide that convenience of picking up food for customers, while saving them time in the process. We were recently able to take advantage of a promotion that Shipt was running over the Memorial Day holiday, and thought we would give it a try. Read below the jump for our review. Founded on the mission of simplifying lives, Shipt serves members, shoppers, and communities by offering convenience and freedom. Now in over 50 cities and counting, Shipt works with vetted shoppers who are able to set their own schedules and are constantly aiming to improve member experiences through a newly developed rating system. By partnering with retailers in each city, shoppers are able to move efficiently through stores. Befriending store employees and fellow shoppers has been an organic product of the process! A Shipt Second Saved, is a Shipt Penny...Earned? Okay, now that you're a little more familiar with them, onto our review. As the above suggests, you can peruse your store's inventory via either the app, or as well as on their website. You do have to purchase the membership though to take part, and your order needs to be at least $35 to get free delivery - which anymore with the price of some groceries - shouldn't be difficult at all to hit. The day we decided to try it, it was quite nice as my wife and I were able to "co-add" things to our list throughout the day. Once you think you have everything, you pick a payment method, the time frame you would like to have your groceries delivered (usually at least an hour or so from when you place your order), and then you play the waiting game! Our experience was great. Once our time frame came up, we received a text from our shopper letting us know he was starting to grab our items. They also sent us a text when an item we wanted wasn't available and wanted to know if we still wanted it, or wanted a substitution. Once they were done, we received a notification that our order was complete, along with the final total (sometimes Shipt may bill your card with a hold for more than your order, just in case of substitutions, etc). They then let us know they were on their way, but also if we wanted anything else, to let them know too. Our shopper was very polite and friendly, and explained that they try to shop for their customers like they would for their own family. You could tell, as any produce we selected, was in great shape, and perfectly sized. However, convenience does come with a price. As you're going through items, you will notice that many may have a higher price tag than what you're used to in the store, presumably to help the company with some of their overhead. As they mention above though, frequently customers don't mind paying that little extra for the convenience added. Our shopper did say that while you currently can't use mPerks on your order, they are looking into their own loyalty program for the future. They also offer frequent deals where some items will actually be on sale, or you can save money by purchasing from a specific group of items. All in all, our experience was very enjoyable, and we did appreciate the convenience. In the future, we may check to see if mPerks are first available for any of the items we might need, or if say most of them could be obtained from Aldi. The temptation though of not having to deal with the masses at the store might just be too great though. While the company has mainly started roll-out of its services in Michigan, expect to see more availability in the Midwest below this month! That said, if you haven't had a chance to sign up yet, if you use our referral link, we'll both get $10 in free groceries, which can help offset that initial sign up cost a bit. Thank you in advance if you should decide to do so! Certainly if you have any more questions, or would like to know more, feel free to leave a comment below! Giveaway - Free Hello Fresh Meals! As I had made mention in an earlier post, grocery home delivery is starting to pick up in popularity, as evidenced by major retailer Meijer recognizing this, as well as the availability of Amazon Fresh available in select markets. We thought we would give Hello Fresh a try. Well, not too long ago, we thought we might try this out as well, and chose HelloFresh to start with. Needless to say, the meals have been quite tasty, including entrees like Crusted Pork Chops with Brussel Sprouts and Cranberries to Tater Chicken Pot Pie as well as Butter Basted Steaks with Spinach. We’re anxiously awaiting our next delivery this coming Tuesday! It has certainly helped save time (and money) I’m sure to be able to have everything perfectly portioned out. That said, I would like to reward readers - I have four freebies that I can send out, where you can try a box for free yourself! If you are interested, please leave a comment below. The first eight comments that I receive, I will send the link to for the free box. Once all emails go out, I will update the post accordingly. Should you miss out, feel free to use the link on the Opportunities page under Hello Fresh, and still get $40 off your first order! Ah, the grocery store. The venue that can add costs to a family or individual's budget, in addition to costing us our mental health at times too depending on what time of the day you visit. However, we all have to eat at some point, and there are a few ways to deal with the anxiety of heading out to local supermarket and making it less stressful on both you and your finances. Problem 1 - We shop at the same time as everyone else. Raise your hand if you generally do most of your grocery shopping on Saturdays and Sundays. How about if you generally do it between 11 am and 1 pm? If you do, don't feel bad, because according to the American Time Use Survey, apparently so does everybody else. Simple Problem Solver - Shop during non peak hours! If you can, try shopping during a non peak day like a Monday or a Tuesday. Even better, if you can slide in before 4 pm, you have even better chances of avoiding the after work crowds. This might not be the case everywhere though, as I know we frequently have still seen decent sized crowds during the daytime hours as well. Problem 2 - We go more than once a week. How many times have you gone to the grocery store, thought you grabbed everything only to realize, annnnnd I forgot something else? I know we've been guilty of that on occasion as well. It can get expensive rather quickly in both your grocery budget, and gas mileage as well! Simple Problem Solver - While this might seem like a no brainer, it really can help to have a meal plan ahead of time, be it for breakfast, lunches or dinners. A favorite app of our family's is the Paprika Recipe Manager. It let's you add your own recipes, go to the in app web browser to your favorite recipe sites and parse recipe information from there, and then can automatically build shopping lists for you based on those recipes! A definite time saver! Problem 3 - Worst of all, we waste a TON of food. According to Consumer Reports, we throw out about $1500 worth of groceries a year. Not good. While you might have intended to consume that produce in your fridge that is starting to grow additional produce, then you go out to eat a few nights, forget that brown bag lunch a few days, and next thing you know that triple coupon on $20 worth of produce didn't seem like that great of a deal after all. Simple Problem Solver - Plan that budget of yours to your calendar, along with your new meal plan. If you know you're going to be going out with some friends on Tuesday or to that tasty Fish Fry Friday, shift your grocery budget dollars over to your dining out budget. Again, these might seem like no brainers, but in the long run, can really save you time, money, and patience on that next trip out. Food delivery services like HelloFresh realize the growing trend of customers wanting healthy foods without the grocery store experience, but sometimes you need more than that as well, or perhaps want to make your own meals and ingredients with delivery as Meijer will start to roll out later this month as well in select markets. Regardless, when in doubt, plan it out! If you're from the Midwest, then more than likely you have already heard of the supermarket giant, Meijer. Not to be outdone by other food delivery services like HelloFresh and Blue Apron, the company announced today in partnership with Shipt, that after a successful launch of the service in the Detroit area last fall, they will start to bring home delivery across their six-state footprint of Michigan, Illinois, Indiana, Ohio, Kentucky and Wisconsin. Starting markets will include Grand Rapids, Fort Wayne and Indianapolis. Starting March 29, Grand Rapids Meijer customers will be able to shop 55,000 items across the Meijer landscape, utilizing Shipt's smartphone app (iOS, Android), or by placing orders directly through Shipt.com. Customers will be able to schedule their orders to be received in a little under an hour. The only catch (and you knew there would be one), is that Shipt is membership-based with either annual or monthly options. For $99 a year, members of Shipt can receive unlimited grocery deliveries on all orders over $35. If you are interested, feel free to use this link and save $10 on your first order! While the convenience may be worthwhile for some, one can't help but wonder what this might mean for a lot of Meijer's current employees. The landscape of shopping in the US and across the world certainly seems to be evolving more or and more to online and automation vs the brick and mortar landscape as many other retailers have begun to realize. Time should tell.